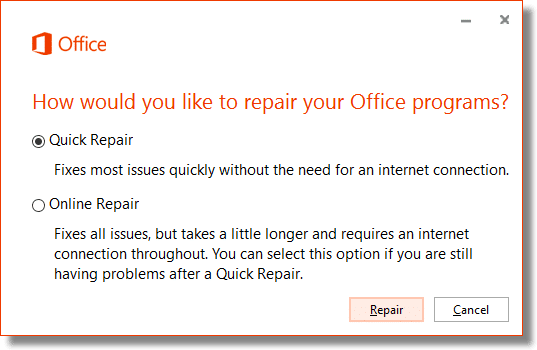 How Do I Repair Microsoft Office? - Ask Leo! Occasionally, Microsoft Office programs can become damaged for a variety of reasons. Fortunately, you can repair Microsoft Office. When I want to open a file in Excel a dialog box appears: “PROGRAM ERROR: EXCEL.EXE has generated errors and will be closed by Windows. You will need to restart the program.” How do I fix this? This can happen for a number of reasons. In fact, it can happen to any of the Microsoft Office programs, including Microsoft Word, Microsoft Excel, Microsoft Outlook, and others. Fortunately, Microsoft Office has an option to help deal with situations like this. You can repair Microsoft Office. 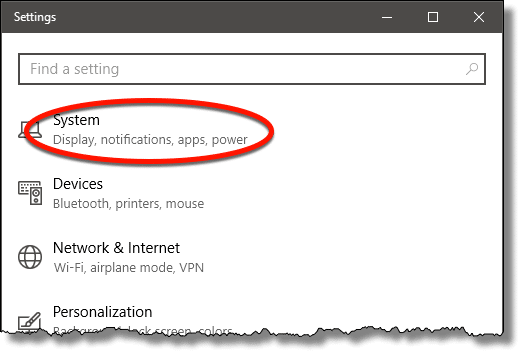 Fire up the Windows Settings app, and click on System. On the next page, click on Apps and Features. After the list populates, which can take a few seconds, look for Microsoft Office (or use the search box and just enter “Office”). Click on the Microsoft Office entry to expose the actions you can take. (In earlier versions of Windows, you may need to right-click to see the options.) Click on Modify (or Change in earlier versions). 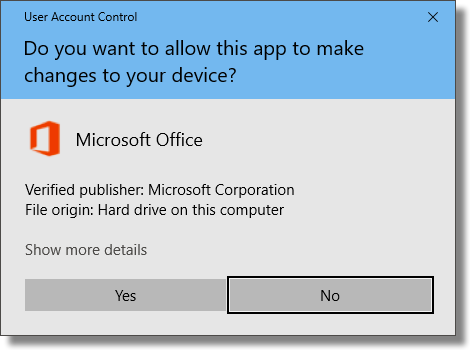 You may be presented with a UAC prompt, asking for your permission to let the set-up program make changes to your system. Depending on how you installed Office, you may need your original installation media – either the original install CDs, DVD, or the equivalent. If you installed one of the more recent versions by downloading directly from Microsoft, the repair may happen without any additional discs required. Having clicked “Modify”, Office Repair begins with a choice of how thorough you want the Repair to be. My recommendation is that you try the “Quick” repair first, which I’ll demonstrate here. If that doesn’t resolve your issues, repeat the process using the “Online” repair. Click on Repair. You’ll get a confirmation message asking if you’re ready, since the operation may take some time. Click on Repair, and the operation begins. 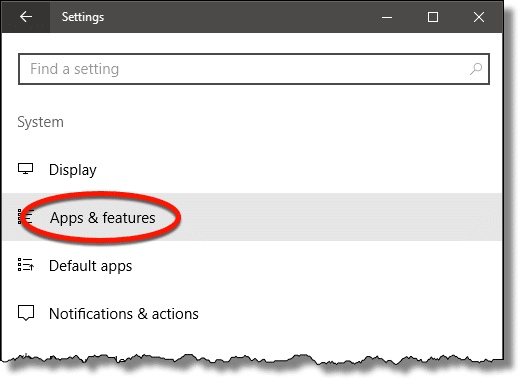 Since programs cannot be updated while they’re actually running, the repair process may let you know that it’s closing some apps as part of its work. Depending on the changes made, you may be asked to reboot your computer for the repair work to finish. Repairing Microsoft Office will not repair any of your Office data files. If a document has somehow been corrupted, it’s possible that this could potentially crash your Office program. The easiest way to determine this is to take the document to a different computer, running another copy of Microsoft Office, and attempt to open the document there. If it works, then it’s likely your installation of Office is the problem, and not the document. If it fails, it’s likely the document itself is at fault. 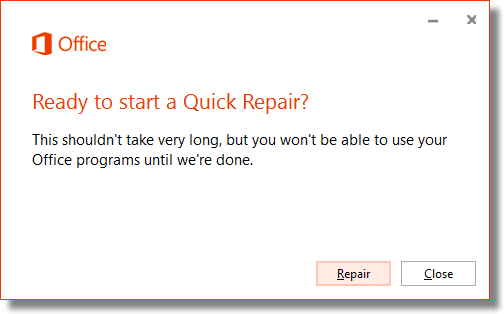 Unfortunately, there’s no general-purpose Microsoft Office document repair tool. The closest is ScanPST, a tool specifically created to repair Microsoft Office Outlook’s PST files. Unfortunately it’s only for PST files, and there are no equivalents for other Office file formats that I’m aware of. Otherwise, if your documents are the cause of the problem, hopefully you have backup copies that haven’t been damaged. Another possibility is a misbehaving add-on. Like many programs, Microsoft Office’s tools can be extended by third-party add-ons. Occasionally, those add-ons can cause issues. You can try uninstalling or disabling any you’re aware of. Exactly how you do this will depend on the specific add-on. If you’re not sure, the Programs and Features list we started with is a good place to look. 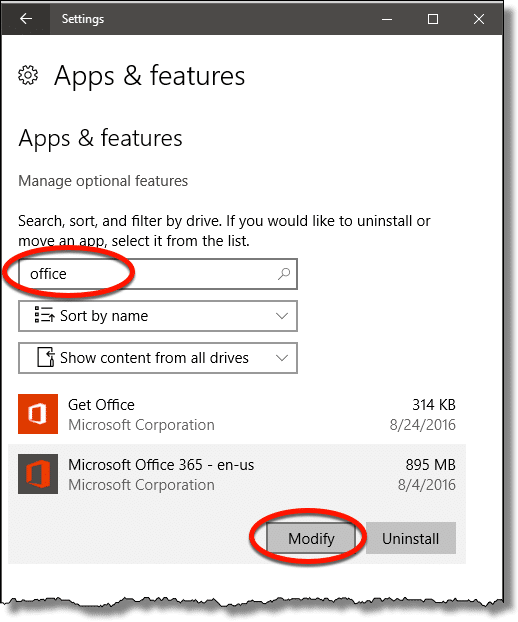 Finally, if nothing else seems to help, there’s always the “nuclear option”: back up your data, uninstall Office completely, and reinstall it from scratch. That should get you a pristine working copy of Office. What’s a Good Free Alternative to Microsoft Office? - There are many, many alternatives to Microsoft Office. Whether or not they'll work for you depends on your needs. Is a Microsoft Office Subscription Worth It? - Before you dismiss it because it's a subscription product, take a look and do the math - Microsoft Office 365 might be surprisingly affordable. How do I get Office if I’m on dial-up? - Software packages, more and more, are coming as large download files - I wouldn't even attempt to do it on dial-up! There may be a few options for you that will work. Is OpenOffice a Viable Alternative to Microsoft Office? - Depending on how you use your word processing program, you may be able to find a good, free alternative to Word. On my XP system there is a link for change/remove but when you click it the only option shown is to uninstall. Would this solution to “change” the set up work in my situation? I always use MS Office 98 and load it to each new computer. I am used to the layout and feel I don’t need to change to a newer version. I guess my computer must have some sort of version of 2007 MS Office as when I recently opened a Word attachment from an email it opened in Word 2007 and now many of my own documents now open in MS Word 2007, or I get a pop up message that the document cannot open and a compatible document will open in MS Works. It is as if MS Office 1998 no longer can be used. I really would like to go back to just having MS Office 1998. I have all the original CD’s etc. Office doesn’t work well with more than one version installed. The correct solution in this case I believe is to UNinstall both (2007 and 98), and then reinstall Office 98 from scratch. If THIS fails then MS makes a tool that will remove all traces of MS office. (it will leave documents AND outlook settings INTACT). Then do a reinstall. I had MS2007 crap out after an interrupted update, It would not even load. I too always use word 98/2000 There is a FIX provided by Microsoft to open office 2007 or 2010 file in office 98/2000. This patch file is fileformatconverter.exe Just run this file after u install the office 98/2000 and it is done. No problem after this u would be able to open any office 2007 or 2010 word, excel, powerpoint file after this, even u can create or save 2007/2010 file through ur office 98 or 2000, after ur install this fix. You are right, there is no any general purpose Word repair repair tool available issued by Microsoft to repair corrupt document but “Open & Repair” feature is available. it will try to repair all possible corruption in MS Word document. In some cases it fails too, at this stage you should try MS gold certified Partner’s Product Stellar Phoenix Word recovery. My laptop computer was in the process of repairing Microsoft Office Enterprise 2007 in the suggested way and my battery ran out; when I turned the computer back on and tried again a notification regarding the interruption popped up, saying that the interrupted attempt was preventing the new one, and now the repair process fails to ‘complete successfully’ every time I try… is there any way to fix this?? I don’t know how to fix that particular problem, but common sense dictates that when doing any repairs, updates, or installs, your machine should be plugged in. Most likely, you will now have to reinstall your Office program. Some time to use of inbuilt MS Word functions fails to repair it in some severe case. Then it is better to use Word repair tool to repair word file after recovery you can get your original Word file without any modification. You can try to download its demo version and preview your repaired Word file. Am having major crashes while in a Word document. I have my CD, but have tossed the key code in error when moving. I can tell by looking at my CD it appears that it has gotten hot or something. What can I do? You can use a program like the free version of Magical Jelly Bean Keyfinder to recover your MS Office and Windows installation keys. Hear does nothing, clicking on choices closes menu and doesn’t open dialog box. I’d like to add to Leo’s “Another possibility is a misbehaving add-on.” You may not even know that some other program inserted an add-on that caused a problem. I just fixed a Word and Excel problem that upon opening any file, even a blank one, Word immediately crashed and displayed an unhelpful “Something happened, Word has to close” error statement. Turned out that installing a new scanner also installed a AABBY FineReader program that was causing the problem. When that add-on was disabled (not uninstalled) Office returned to happiness. The key: There is a ‘safe mode’ in Office programs. To run that, open a command line and type: “winword /safe”, excel /safe”, “powerpnt /safe”, etc. Then, while in safe mode you can disable one or more add-ons. 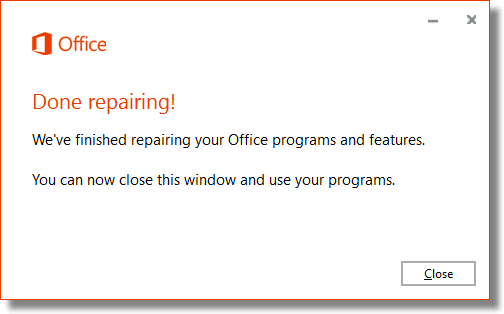 I don’t know if all versions of Office work the same, but when I wanted to repair my Office a few years ago, I didn’t get an option to install from scratch. 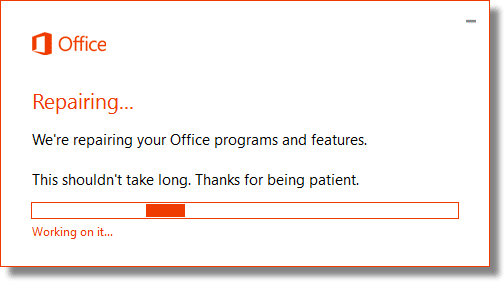 I could only either, run the repair or uninstall Office completely. I don’t believe it’s necessary to uninstall it in most cases. A repair install should work similarly to a fresh install. Ie. copy and overwrite all the necessary files and registry keys keeping any user settings you’ve made in Office. Thanks for this. Can you please do a similar article or add on to this one for Office for Mac and Office 365 for Mac. Having similar problems with my Office. Had MS Office 2010 and One Note 2010 installed on one laptop. One day, while One Note 2010 was open, I was prompted to download the new 2016 version. Thinking newer was better, I installed the 2016 version and deleted the 2010 version. Several weeks later, I tried to open Office 2010, (Word), to compose a letter, it wouldn’t open, nor would any other Office platform. (Excel, Power Point, etc.). Tried every fix in the book. Nothing worked, including, uninstalling 2010 and trying to reinstall with the original CD. As a last resort, thinking I would never reach a human being, I tried contacting Microsoft by telephone and was blown away when, after leaving my number on their website, my phone immediately rang and I was greeted by a tech in, (wait for it), India. Long story short, (or is it too late? ), he took remote control of my PC and within minutes determined, (even though I had uninstalled 2010), the reason it would not open was because I installed One Note 2016 and the two programs are not compatible. So, I provided him with my 2010 Product Key, he removed the 2016 One Note and reinstalled both the Office and One Note 2010 and I was good to go. Lesson learned: Program Version dates ‘Do Matter’. Leo, I started reading this article on repairing Office and then it occurred to me you are talking about a smartphone app and not a laptop. Could you please warn us ahead of time? This article is not about a smartphone app. It’s about Microsoft Office installed on a Windows computer. This is not the smartphone app. This is the PC (laptop or desktop) version. I think the terminology confused you. “Apps” are now used rather than programs, it may be you have connected it with a smartphone erroneously. None of this information applies to my Windows 7 with Office 2013.